Pages 240 Languages English, spanish Paper Couche 150 gr. The concept of architectural reform has always been conceived as a solution for the conservation of the past into the present. Nowadays, we can say that the rehabilitation or renovation of buildings is an interesting way of solving the architectural problems concerning the new urban, social, environmental and economic realities of the globalized world in which we live. We are aware of the approaching of the cities' collapse, due to lack of space. The continuous movement of persons around the world and the mix of customs, traditions and cultures lead us into a society which is trying to adapt to a constant change. The buildings and the architecture must develop and follow this constant rate, reinventing themselves in the light of the new requirements. 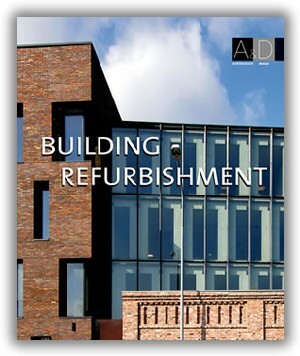 Change the concept: refurbishing is not only the conservation of elements of great cultural interest (which continue to be essential for the preservation of our historical heritage). The rehabilitation's ideas have to expand and explore all the areas, from private to commercial, from industrial to the public, from large to small, finding constant meeting points between the special and mutable needs of the society. The objective of this book is to give an example of the different possibilities to refurbish architectures, showing new ideas for new concepts of space. How an architect can modify and reinvent the functions, highlighting the possibility to play with the space already built searching new solutions for new users.